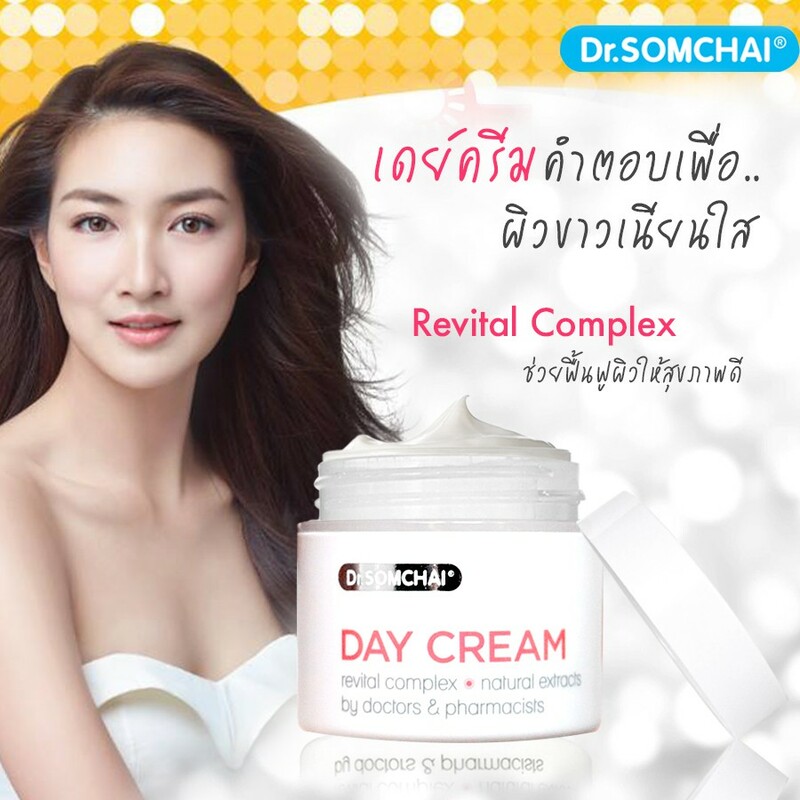 Dr.Somchai Day Cream is specially formulated with natural extracts and REVITAL COMPLEX to help restore skin to be healthy, soft and youthful. 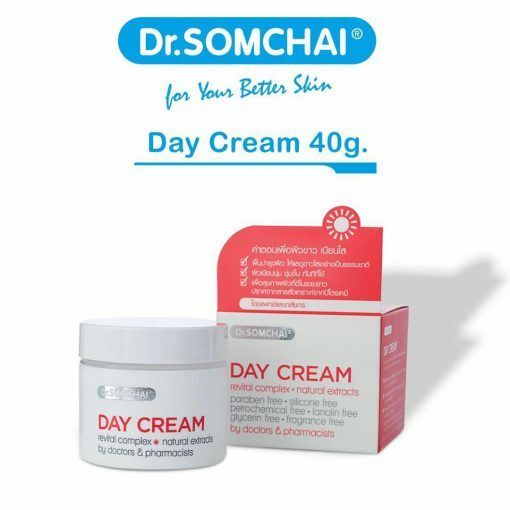 It also protects skin from pollution and UV rays from the sun. 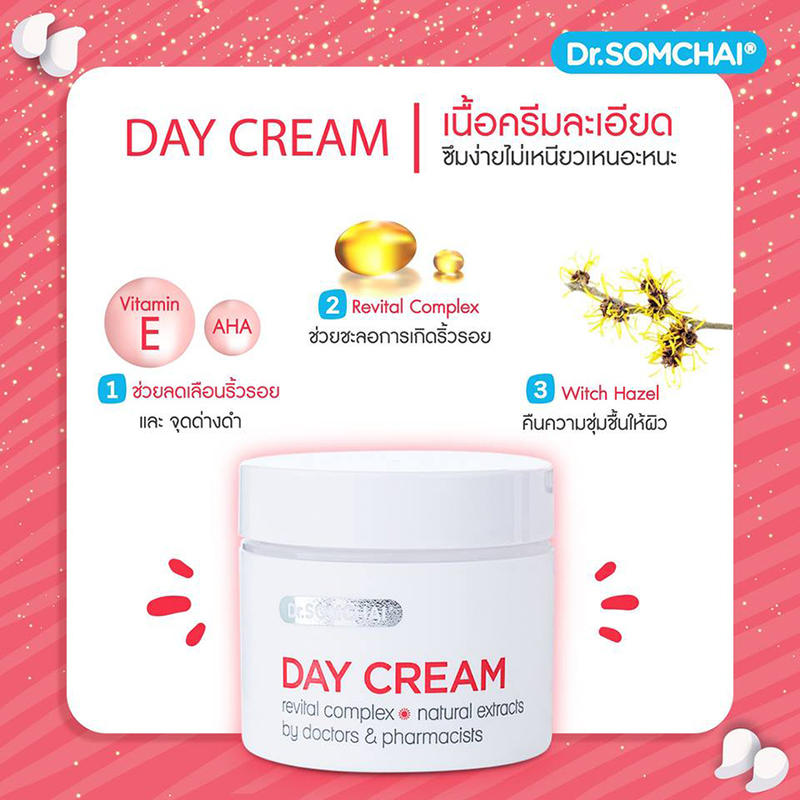 It is enriched with AHA and Vitamin E to reduce wrinkles, dullness, and dark spots, revealing smoothly clear skin. 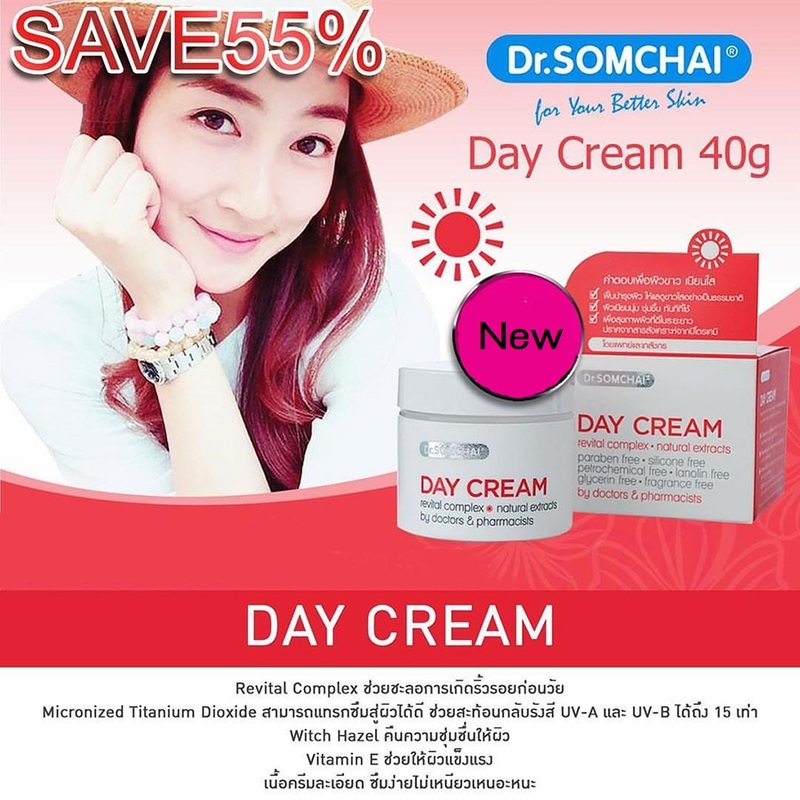 The fine cream is easy to absorb and not sticky. Directions: After facial cleansing, apply the cream thoroughly the face and neck. Use regularly in the morning before makeup. Keep away from the sunlight. If itching, irritation, or redness occurs, stop using and consult a doctor. 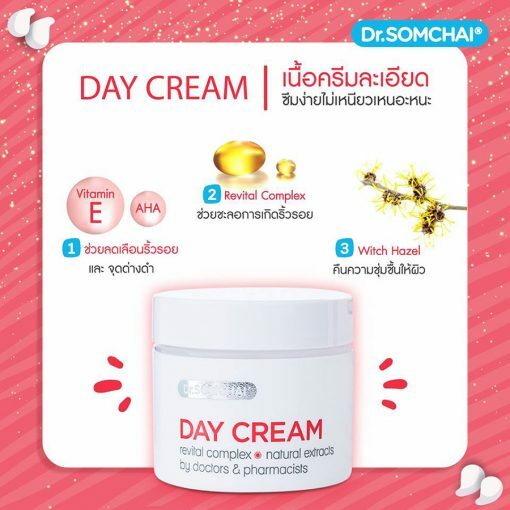 FUJI Bee Venom Cream For Reduce Wrinkles Fine Lines Immediate Face Firm. Counter Concept Absolute Intense Serum 30 ml.